The success rate differs depending on the region where the foreign professional qualification was obtained. 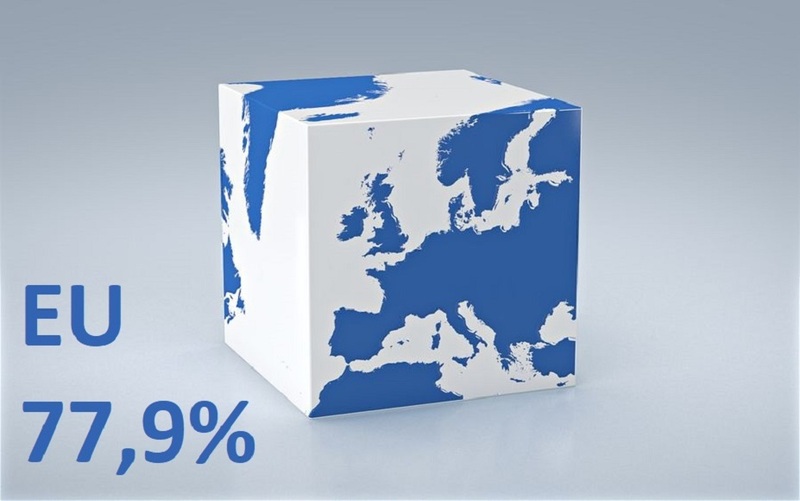 The success rate for EU member states is the highest. The success rate of recognition procedures in Germany differs depending on the region where the foreign professional qualification was obtained. In particular, the share of cases where full equivalence was attested ranges from 78% of qualifications obtained in the EU member states to 54% of qualifications obtained in candidate states for EU membership. The vast majority of applicants obtained a professional qualification in the European Union or in other European states. Other European states include in particular the successor states of the Soviet Union and Yugoslavia, if they are not already EU member states. Among the African region, most applications come from North Africa.